1. Dennis Quaid, Hollywood's best golfer, improved from 4.5- to 1.1-handicap in four months. 2. Samuel L. Jackson, a 4.9-handicapper, carried his light saber in his golf bag during filming of Star Wars: Episode II and practiced swinging it during rounds. 3. Hugh Grant, a 7-handicapper, is a member at Sunningdale, one of the best courses in the U.K.
4. Mark Wahlberg, a 7.0-handicapper, regularly rips 300-yard drives and hopes to play on the Champions Tour. 5. Bill Murray, Caddyshack star and a favorite at Pebble Beach, plays closer to a 7.5-handicap than the 15 he proclaims. 6. Kevin Costner, has a 10.8-handicap, plays regularly in the Chrysler Classic of Tucson Pro-Am since filming Tin Cup in the Tucson area. 7. Don Johnson, portrayed Costner's rival in Tin Cup, plays to an 8.1-handicap. 8. Cameron Diaz, showed nice form on the driving range in There's Something About Mary but only recently began playing golf. 9. Michael Douglas, has a 14.9-handicap, was the amateur partner of Colin Montgomerie when Monty won this year's Dunhill Links Championship. 10. Catherine Zeta-Jones, Douglas' wife, comes from a Welsh golf family and has a 24-handicap. 11. Michael O'Keefe, played the role of Danny Noonan in Caddyshack, is an 18-handicapper. 12. Clint Eastwood, now 75, keeps working, leaving little time to improve on his 13.5-handicap. 13. John O'Hurley, whose character bought John F. Kennedy's mangled clubs in a Seinfeld episode, plays to a 12-handicap. 14. Heather Locklear, a 36-handicapper, doesn't play often but is a regular in Douglas' nationally televised charity tournament. 15. Chevy Chase, who couldn't miss a putt in Caddyshack, has missed plenty in real life with his 25-handicap. 16. Ray Romano, a regular in celebrity pro-ams, is one of Hollywood's most-improved golfers with a 12.6-handicap. 17. Adam Sandler, who starred in Happy Gilmore, has a 16-handicap and is a regular in the Sony Open Pro-Am. 18. Tom Cruise, a member at Bel-Air Country Club in Beverly Hills, rarely plays but is known to hand out $100 tips to caddies. Note: Handicaps without decimal points are unofficial. You've seen them play in celebrity pro-am events, often providing comic relief and sometimes showing that they know how to swing the clubs, but how do Hollywood stars perform on the course when the cameras aren't rolling? Golf Digest ranked the celebrities and turned up some interesting tidbits about the glamour set in its December issue. Quaid is a member of Bel-Air Country Club in Beverly Hills and stays in homes on private courses when he's on the road. For the past three years, he's hosted a celebrity golf event in Austin, raising more than $200,000 for children's charities at the 2005 affair. "There are three things being a celebrity is good for: raising money for charity, dinner reservations and tee times," Quaid told the magazine. Those ranked right behind him were Thomas Gibson, Tom Dreesen, Matt Craven, Chris O'Donnell, Jackson, brother Randy Quaid, Craig T. Nelson, Mark Wahlberg and Hugh Grant. Among women, Cheryl Ladd, who has written a book about golf, led the list with a 14-handicap. Jackson, a 4.9-handicapper, doesn't travel without his clubs and a clause in his contract requires production companies to arrange playing privileges at a private club wherever he's filming a movie. Jackson says he also goes regularly to municipal courses, puts his name on the waiting list and plays with whoever happens to get paired up with him. One prominent PGA Tour pro told the magazine about a startling experience playing with Nicholson and Joe Pesci when the pro offered to give Nicholson a swing tip. "I'll give you a tip," Nicholson shot back, and advised the pro to do something to himself that is anatomically impossible. That set off a heated argument between Pesci and Nicholson, which ended when Nicholson took his clubs and walked off the course. Hatcher doesn't play often, but hopes to create a Desperate Housewives tournament. She was thrilled when Woods gave her a lesson during his "Tiger Jam" event in Las Vegas in May. "I was so nervous," she told Golf Digest. "All I could think of was 'I don't deserve a lesson with Tiger Woods.' "
Cameron Diaz recently was introduced to golf by boyfriend Justin Timberlake, who is hooked on the game. "I can't wait to be that age and hanging out with a bunch of people all day, playing golf and going to the beach," Diaz said while filming a recent movie and mixing with retirees in Florida. "We'll be laughing and having a good time, driving golf carts around and getting loopy on our prescription drugs." that guy can do it all!!! Of course he can do it all!! I've tried it hard but I can find something wrong on him, just one thing: he smoke. What is wrong on Mark? You maybe heard or know something! By the way, thankx for the INFO!! hahaha !! Now he doesn't smoke!! HAHAAHA !! Yeaaaaaaaaah!! I'd take him too!! I've read that Mark'll stop acting to be a golfer, but not now, a couple of years have to pass 'til that. YeS He DoEs! I mean I'm sure he must have faults but...it doens't seems like. I think the he's own fault is being perfect LOL !! lol im monsteris at golf i can so beat MARK! Hey Raine, whos in ur sig? 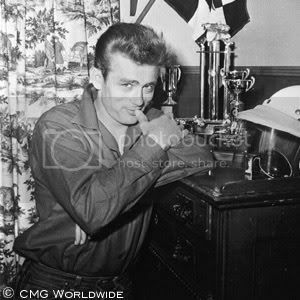 isnt tht James Dean or whts tht guys nme? yea the first ones james dean the other one is my husbands!